Do you remember Norman Hatchet? Norman Hatchet graduated in 1972 and was inducted into the Hall of Fame in 2019. 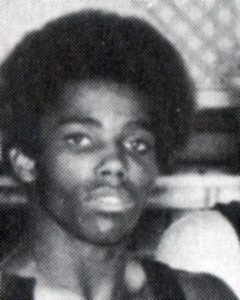 Norman Hatchet, 1972: Norman was a three-year varsity wrestler. His junior year he was Enquirer Honorable Mention All City at 119 lbs. His senior year he was Enquirer First Team and Post All City at 119 lbs., Enquirer Wrestler of the Year, and State Champion Class AAA at 119 lbs. with a 32-0 record and 20 pins. He received a wrestling scholarship to the University of Oklahoma and wrestled at both 118 and 126 pounds, while being a member of the Oklahoma 1974 NCAA National Championship Wrestling Team. He transferred to the University of Arizona and continued wrestling until his 1978 graduation.